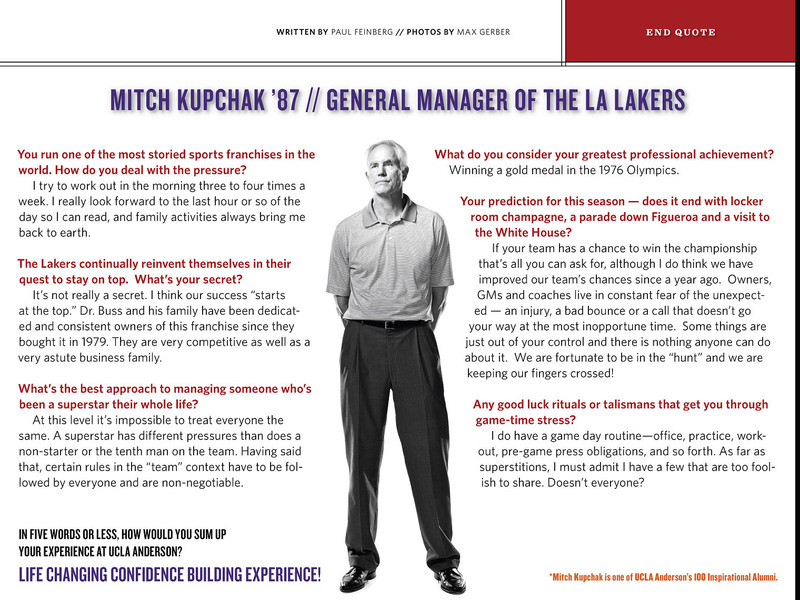 Our first issue Q&A featured Lakers GM Mitch Kupchak. Multiple portraits morphed from one to the next. Shot by Max Gerber.